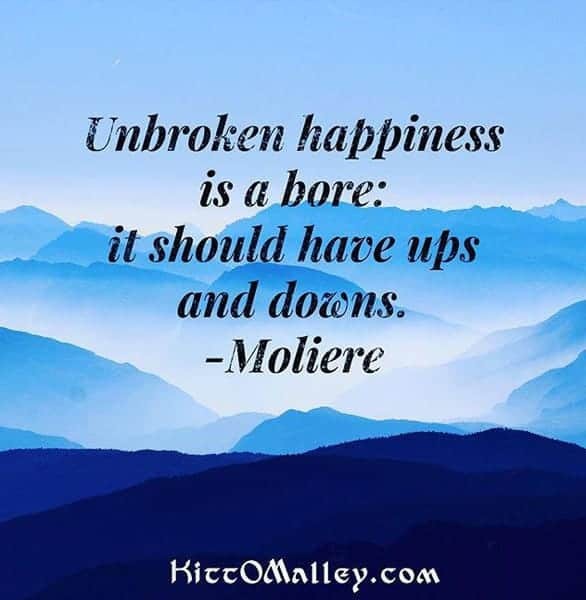 The Scoop: Kitt O’Malley has lived with bipolar depression and mania since she was 18 years old, and every day has been a struggle to heal, learn, and grow. She started writing a personal blog when she was 50 to sort out her thoughts and tell her story as a mother, a wife, and a caretaker coping with mental illness. Writing articles about her life experiences was cathartic for Kitt, and many readers were drawn to her honest, compassionate, and helpful perspective. So when the guy she was dating said “You’re the most independent woman I’ve ever met,” Kitt couldn’t help but laugh. She had never been more dependent in her life, but he didn’t see those circumstances or her mental illness. He saw her, and that in itself was a small miracle. 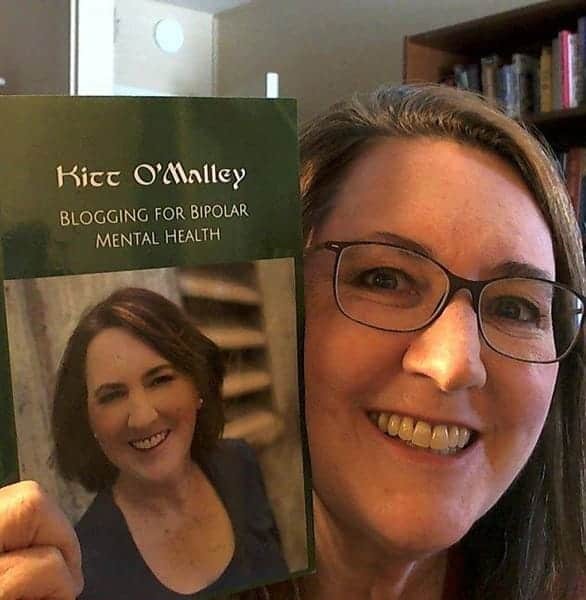 Kitt O’Malley started writing a blog to discuss the challenges of living with mental illness. Kitt knew he was a keeper in that moment, and she married him three years later in 1997. They’re currently happily married with an 18-year-old son. Now as a blogger and an aspiring author, Kitt seeks to let other people struggling with mental illness know that they don’t have to face these challenges alone. They can still fall in love, get married, and have a family despite their illness. Kitt said she isn’t always perfect, but she makes an effort to improve and learn from her mistakes for the sake of her husband and son. Her message has resonated with people who live with a mental illness and those who love them. Mental illness impacts the entire family, and Kitt speaks to the concerns, complications, and capricious moods that can arise on that journey. Kitt has lived with mental illness since she was 18 years old. When she was 18, she first saw a psychologist to treat severe depression. Through her 30s she took an antidepressant and went to therapy. Only when she was 39 did she realize she had bipolar disorder. She immediately sought psychiatric help for the euphoric hypomanic symptoms she experienced. Her doctor changed added a mood stabilizer to her antidepressant medication. She has taken medication, gone to therapy, taken her son and husband to therapy with her, and made a conscious effort to overcome the hypomania and fatigue that comes from living with bipolar disorder. Kitt’s blog is autobiographical. It’s all about her story, her experiences, her opinions, and her takeaways. She dwells on topics that impact her life, and she expands upon the lessons she has learned the hard way. As Kitt writes her memoir one post at a time, she learns more about herself and her emotional needs, and she also helps others work through their own personal issues. Kitt’s blog offers a realistic look at the ups and downs of bipolar disorder. In her blog, Kitt opens up about her diagnosis, her treatment, and her current mental state. 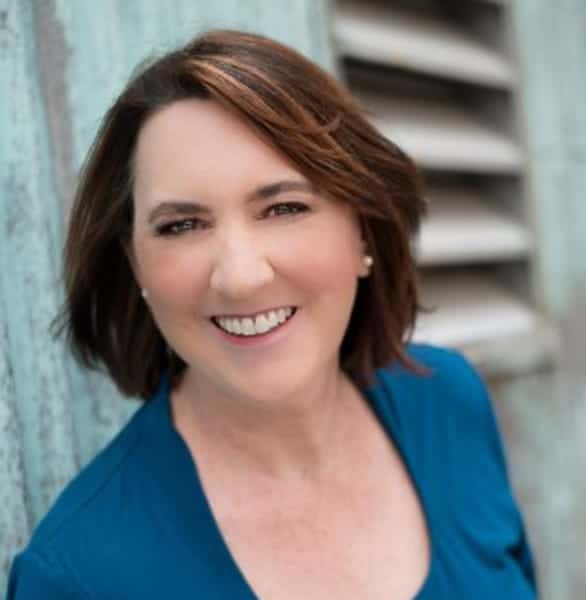 She discusses personal issues with compassion and honesty, and her insights can be eye-opening for readers going through similar trials in their lives. As a former therapist, Kitt aims to provide clinically sound guidance to her readers, many of whom say they can relate to her experiences living with a mental disorder. Her central message is one of hope. She uses her blog as an outlet where she can write out the tangle of her thoughts and make sense of them. She can find meaning in her experiences and a respite from her depression and hypomania in a safe, nonjudgmental space. Kitt has written hundreds of posts about everything affecting her as a mother, a wife, a daughter, and a person with bipolar disorder. Kitt told us that her family motivates her to stay positive because her mental illness impacts them just as much as it impacts her. Her family is her reason for being, and she wants to be well for their sake. Because they need her to be. In 2019, Kitt plans to rework her book on mental illness while continuing to blog in her spare time. In November 2015, Kitt’s mother had a stroke, and overnight she became the primary caretaker of her mother and father, who had dementia. She began to talk more about the challenges of being a caretaker. Kitt’s father passed away in April 2018, and her blog has been an outlet for her grief. She’s working through her emotions by writing out her thoughts and reading the supportive comments left by readers who have also lost a parent. While taking care of her mother, grieving for her father, and raising her son, Kitt has also compiled her blog articles into a rough draft for a book that she’s working on completing. Writing and rewriting the book takes away time from writing the blog, but Kitt said she’s doing her best to balance the many tasks on her plate and keep in touch with her readers. Kitt is active on Facebook, Instagram, and Twitter, and she responds to comments on her posts as a way of engaging her audience. Her blog is part of a larger community focused on mental health, and she is passionate about empowering individuals in that community to heal themselves and their families. Kitt’s blog comforts people dealing with mental health issues, and it also prods them to get help. She offers informational resources to empower people to take the next step and get the help they need. She’s a staunch advocate for seeing a psychiatrist if you have a serious mental illness like bipolar disorder or schizophrenia. Medication has saved her life. She’s found going to therapy helpful, too, and she has the credentials to back up her advice. She said she recommends that families go to therapy sessions together and talk about the issues that arise due to anxiety, depression, mania, and stress. Kitt raises awareness about mental health treatment on her blog. Kitt also lists support groups for caregivers, so loved ones can get the help they need as well. It can be difficult to be in a relationship with someone who carries the weight of a mental illness, but partners can do a lot to alleviate the burden and strengthen their relationship. People from all walks of life have reached out to Kitt to thank her for her thoughtful and inspirational advice. Some say they can relate to her struggles as someone with mental health, while others relate to her efforts as a caregiver. In many ways, Kitt’s marriage has been her saving grace because her family has given her a reason to get well and stay positive. She said she understands that her bipolar mood swings can negatively impact the people she loves the most, and that’s a strong motivator to pick herself up when she falls. Kitt started writing her blog to help herself work through her emotions, and she wound up inspiring many readers along the way. Many people can relate to her complicated family history, her bouts of depression and hypomania, and her struggle to focus on love over illness. Whether she’s discussing her challenges as a caregiver or her bizarre thoughts during a manic episode, Kitt’s honesty is refreshing, and she doesn’t shy away from touchy subjects regarding mental health and family issues.